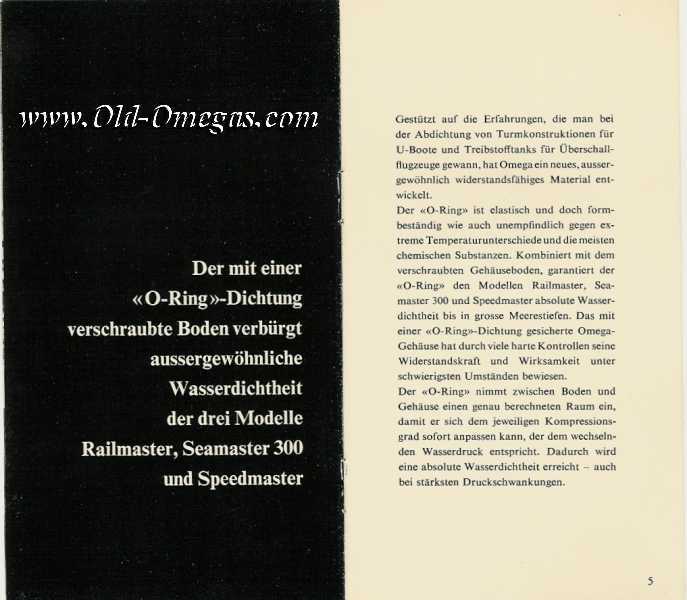 This brochure is in German. It is from 1963. 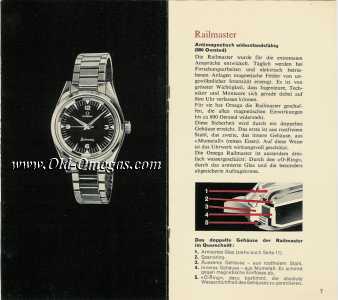 & features the Railmaster, Seamaster 300 & Speedmaster. 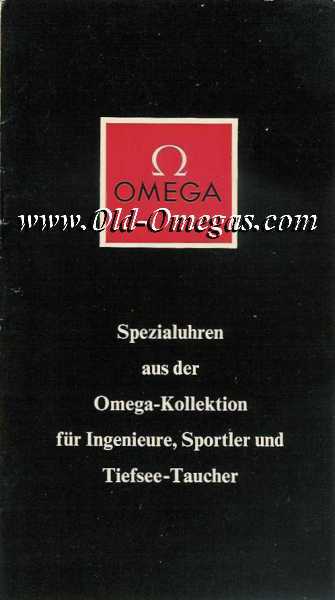 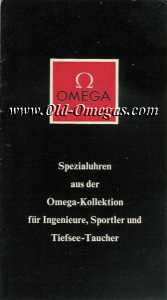 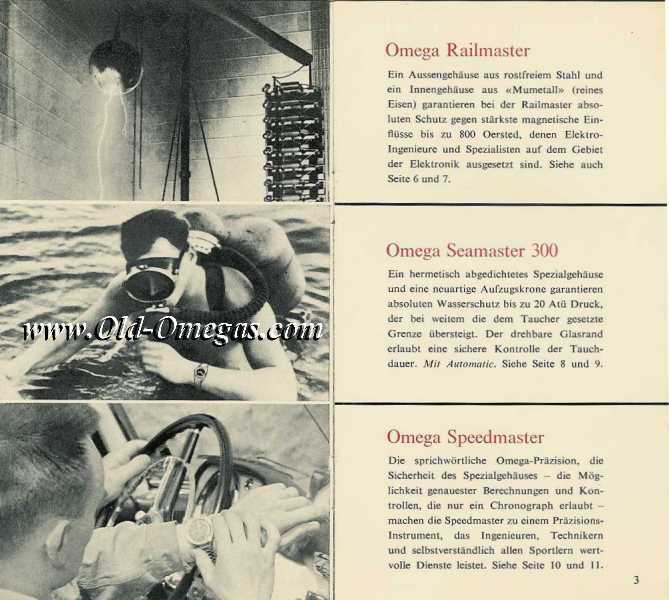 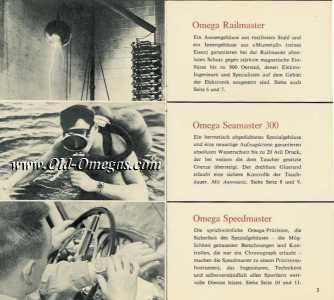 A quick look at the diver, on page 1, shows that even in 1963 Omega were "photoshopping" their pictures ! 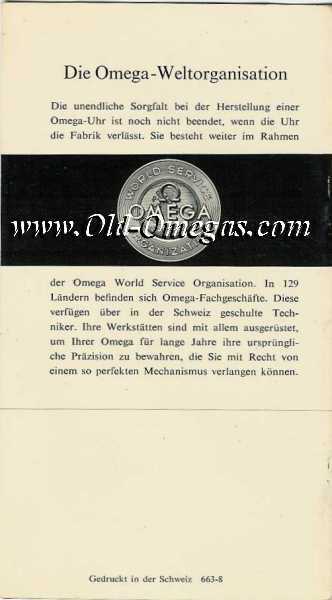 Here's a link to an article that Bill Sohne wrote covering the 1st generation of each based on a similar English brochure. Interestingly this 1963 Catalogue appears to feature a watch that was replaced in 1962. 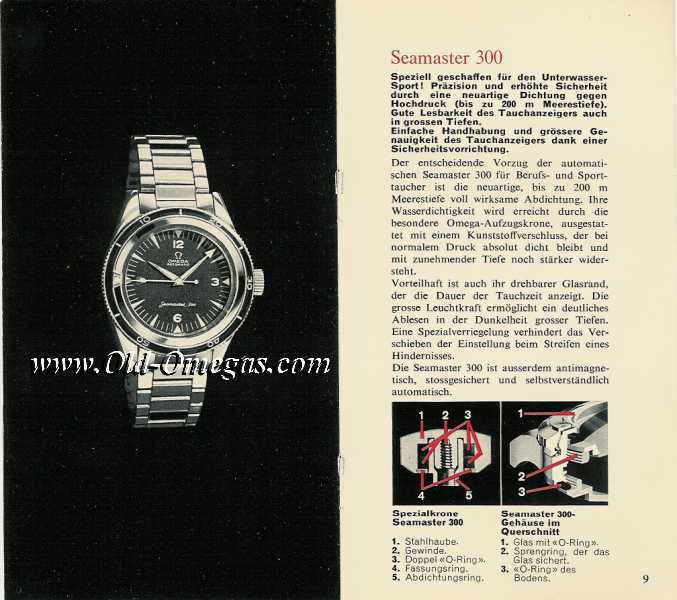 See Bill Sohne's Seamaster 300 History article. 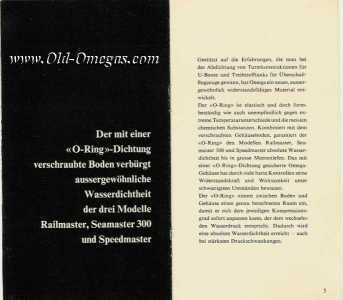 Click on any of the page scans for a larger (approx 50 KB) version. 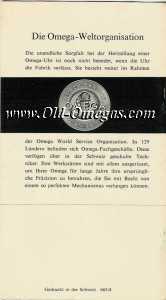 This page was written by Steve Waddington & last updated on 31 December 2004 - Yes ! New years eve... before the party... 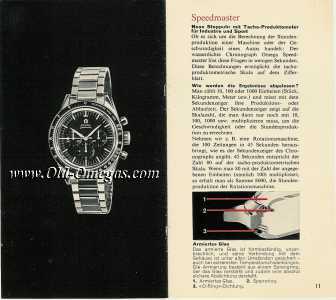 This is bordering on Anorak devotion !